DAVID LE/Staff photo. 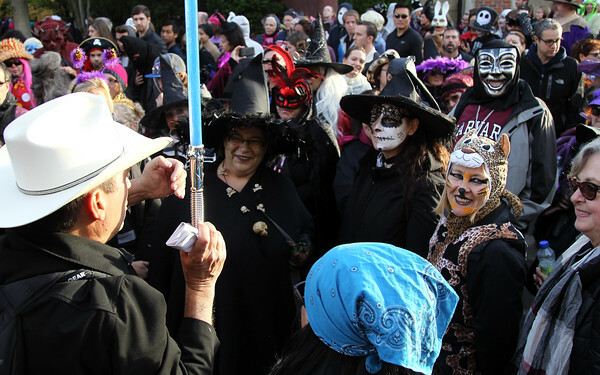 A tour group all decked out in Halloween garb gets led through the Essex Street pedestrian mall on Saturday afternoon. 10/31/15.